The Samsung Gear Fit 2 has some unique features. Overall, there’s not a lot of surprise to it, however. Hi. This video is about the Gear Fit2 features. It actually has quite a few features. It has pretty well the standard features of step counters, it has a heart rate monitor. That was my battery light. It gives you the date and the time. Then there’s quite a few different things it can count up, as you see me scrolling through here. Then there’s a lot of apps that they have. There’s not a big third-party app selection. Also, if I receive text I can see text and incoming calls; and accept or reject incoming calls, which I really like that a lot. That’s a really nice feature that not all smartphones have. 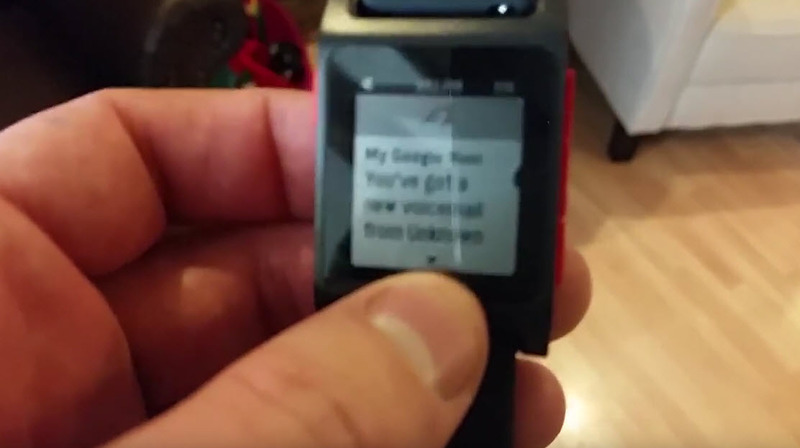 I can even respond to text with sort of canned or pre-built messages so it’s not like voice to text like in other smart watches. Overall I do find it to be very feature rich. I think it is a feature that the screen is really nice. You probably can’t tell because it’s having trouble focusing exactly on the screen; but it’s a very nice looking screen. It’s very high resolution and it looks really nice. Especially for something that you would expect to be more like a fitness tracker which have very, very powerful screens. Please like this video. Thanks for watching. ‘Bye. When comparing the Samsung Gear Fit 2 to the Pebble 2, not all the comparisons fit very well. But, ultimately, you’re not going to wear BOTH and there is a huge overlap in the features and objectives of both smartwatches. Hi. This video is about the Gear Fit2 versus the Pebble 2. They’re not exactly devices targeted at the same market, but I find them to actually have a lot of similar features, a lot of things in common. I really wanted to like the Pebble 2. I think the Gear Fit2 is very solid and does a lot of things a small watch does. This Pebble 2 definitely does more things than the Gear Fit2, but unfortunately it has … It has a longer battery life and it’s more waterproof. Man, the software is pretty awkward to use. I got deluged by notifications constantly, all these unnecessary notifications. I found that when I started trying to turn those off specifically it actually turned off other notifications that I wanted such as text messages and incoming phone calls, which I find to be very useful on the Gear Fit2. That was a big problem with the Pebble 2. It had a lot more actually of third-party apps, and also one of my favorite things was I could see the weather, what temperature it was outside and whether or not it was raining or sunny or cloudy on here. I haven’t seen a weather app for the Gear Fit2 so I really like that. It’s not enough to make up for its very big downfalls. I do like the Gear Fit2 more. So far it still is my favorite smart watch. It’s not perfect, but it does a lot of things really well. It’s nice. It has a pretty decent battery life. It’s not great but it’s not poor either. Like this video. Bye. I was very excited to unbox my new Asus Zenwatch 3. The opening experience was fun. The watch is sleek and generally looks nice. I like the steampunk vibe. Hello. Geektastic review here and this is the unboxing of the Asus Zenwatch 3. It comes in a very nice pretty box. Let’s see what we got. I’m very excited to try this out. It’s a very nice looking device. It comes in a nice display right there. I like it. I love their style of it. Let’s see what we’ve got inside here. Alright, power cord. It charges this. That’s pretty neat and magnetically connects very easily. It plugs into USB, pretty standard. I don’t know what that is. Let’s see. Inside here charger to the USB and I guess inside here would be an instruction manual in tiny, tiny print. .Quick start guide. I love quick start guides. Let’s take a quick look at the watch. It’s very nice looking. It has a little screen protector. It’s very satisfying to pull off the screen protector. Very nice looking. Let’s take off my Gear Fit 2. See how this one fits. It’s supposed to charge 60% in ten minutes. This seems like a pretty small band. Fits nicely. What do you think? How does it look? It’s not as heavy as I expect it to be. It’s still definitely heavier than something like the Gear Fit 2 that’s more of a fitness tracker. Very nice. There’s really nothing else in here. It’s a very pretty box. It has a lot of extra space. Comes with a charger, the watch,, the quick start guide, and then whatever this little tiny thing is. I don’t know what it is. This has been the unboxing of the Asus Zenwatch 3 for Geektastic review. Thanks for watching. Have a great day. Like the video, please. Bye. After wearing the Pebble 2 for about a week, I’ve made a conclusion on what kind of review I give it. 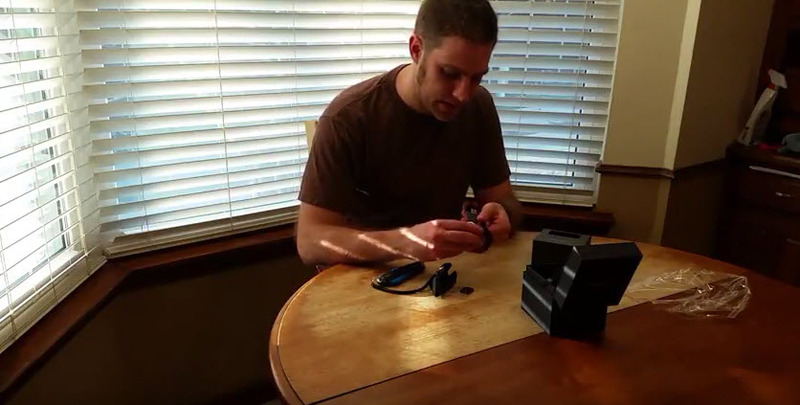 This video is my review of the Pebble 2 smartwatch. I really want to like this smartwatch because of its extended battery life- that’s my son in the background- and its supreme waterproofness, with seven days battery life and up to 30 meters below water you can swim with it. I really like that. It does have some features I like. It has weather on it in a really easy way for me to view. I really like that. It really suffers largely because the software is much more awkward that I was expecting it to be to use. I had some weird settings, it seemed like it was almost buggy. I’m not sure how much of it was my inability to use the interface and how much of it was when I turned off a certain setting for one thing, it turned off a setting for something else. Getting it to be in the proper level of settings that I wanted was a major issue for the notifications, which I get deluged by. Benjamin, hold on please. I get tons and tons of notifications, which is one of the flaws here. I can’t get the right amount of notifications. If I want to turn those notifications off my text and incoming calls notifications don’t seem to work. I really don’t want to spend a ton of time figuring out my watch. Sorry. Figuring out how to use my watch. I feel like it should be a little bit more seamless. Maybe that’s why that they were bought or … I’m not sure if kind of half went out of business and half were bought or just were bought by Fitbit. I believe they will discontinue selling this. I’m not really sure. I think it’s uncertain at this point. I don’t think that that company could continue at the current way. For some reason, I’m not sure why, maybe it just wasn’t turning out to be as popular as they’d hoped. I really liked the idea. I just think that the execution was pretty poor in some areas, especially with the interface and it seeming buggy. That doesn’t mean that I wouldn’t wear it. I’ve seriously been considering trying it, giving it another shot for a while in order to see. It does have a very good automatic heart rate detector and the softwares good. There’s a lot of third-party apps that I haven’t tried yet. There’s just a pretty big community for that. That could help. If I could get the notifications figured out, but they’re not going to be really making new updates so I feel strange investing my time in a line of watches that is not going to really have a future. In that spirit, I don’t think I could really recommend the Pebble 2 as a smartwatch. I’m looking for a better one. So far the Gear Fit2 is actually my favorite, but that’s only for Android and it’s more of a fitness tracker with some smartwatch features than a smartwatch. Anyway, please like this video. Thanks for watching. Bye.